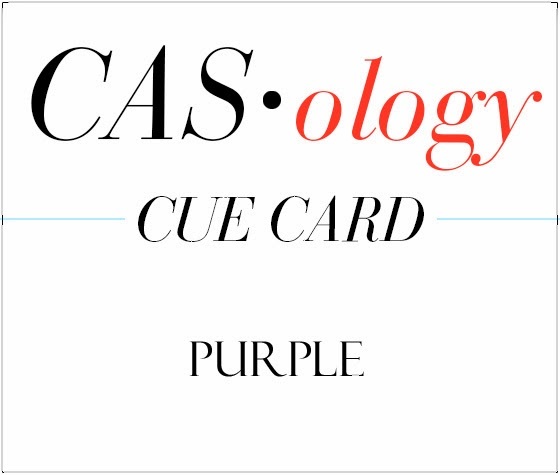 PURPLE is not a color I tend to create with often, I'm glad this cue card pushed me to do something different. That is what a challenge is all about, right? Don't be afraid to use embellishments on your CAS cards, just keep them neutral so they blend with rather than distract from your design! How are you inspired by PURPLE? Click on each of the DT names below to see how they were inspired!! Our Sponsor this week is Prickley Pear Rubber Stamps! One lucky player will win a grab bag of unmounted rubber stamps!!! **My Stamps for Sale Page has been updated with LOTS of stamps! Check it out here!! Maureen, Love the beautiful white space against the bold purples. Love it! Your two tone roses look so pretty! Very pretty and the sequins are the perfect finishing touch! Great advice about the embellishments - yours add interest to the white space rather than taking centre stage themselves! Purple perfection is all I can say! Wow! Your card is amazing, Maureen! Love the way you used different shades of purple while you kept the design CAS. Thanks for the tip! This is just gorgeous. That purple is so sharp and vivid against the white. SO lovely, the added sequins a perfect touch!!! What a perfectly lovely card, Maureen! 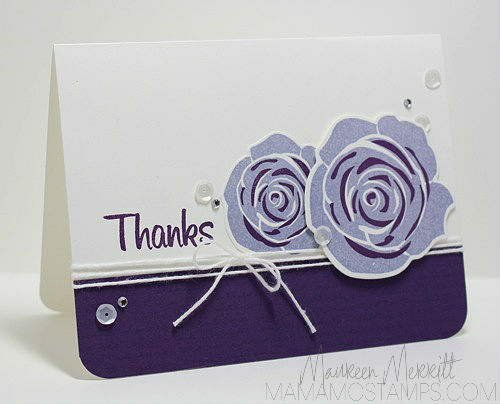 Thank you for the tip on using neutral embellishments on CAS cards--I was wondering about that! What pretty two-tone flowers, Maureen! I'm with you, I don't frequently reach for purple...but you have definitely risen to the challenge! This is beautiful!